List Of 10 Progressive Artists In The 21st Century! When you consider something that is progressive or cutting edge the thing that pops in your head is something or someone who pushes the boundaries, takes some risks and is really innovative. The term cutting edge has been defined as being the leader in field. Keeping this definition and the thoughts of what cutting edge means to us we make a list of artists who possess these qualities in abundance. These inspiring people took something mundane and something that we use everyday like books or chain from a cycle and gave it a never-before-thought-of twist. These people have tweaked something that was an old artist or simply and almost magically come up with modern artworks. Each one of them has used something different but the common thread is their need and desire to push their creativity to the utmost lengths. 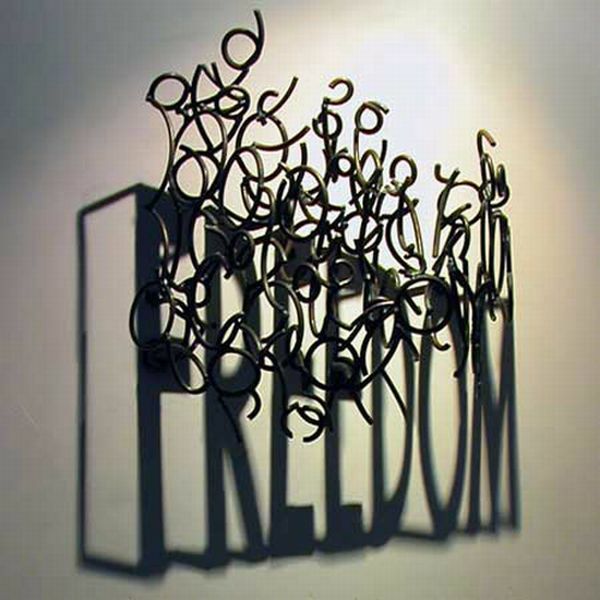 Shadow Art by Kumi Yamashita: While there are many talented artists who use shadows and lights in their work, Kumi Yamashita is probably the only one who makes entire art that is made up of materials she utilizes and effects she manages to create. The use of light on solid objects like wood that is carved or aluminum numbers seem to show an inner being who is waiting to be discovered. Carved Book Landscapes by Guy Laramee: Guy has a love of books and making use of a Sandblaster this artist who is based at Montreal painstakingly etches out large chunks from covers and pages till he manages to get a landscape. 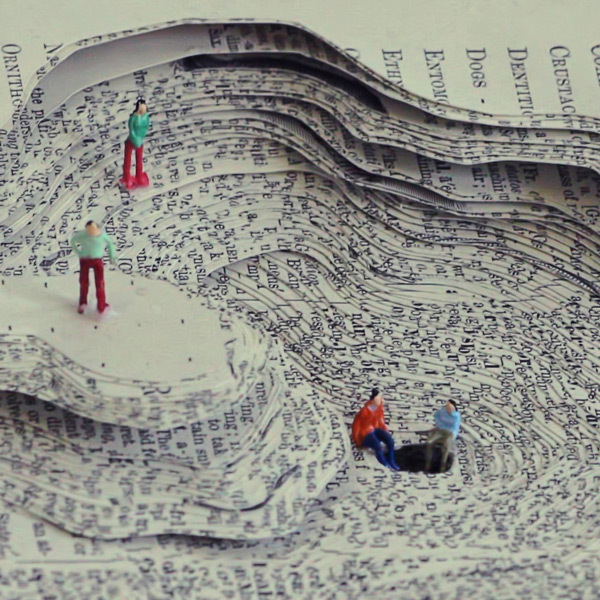 You can see hills, waves and caves come out of old books taking on a new look. Land Art by Cornelia Konrads: As artists go, she seems to stand out due to her incredible works that seem to defy gravity. 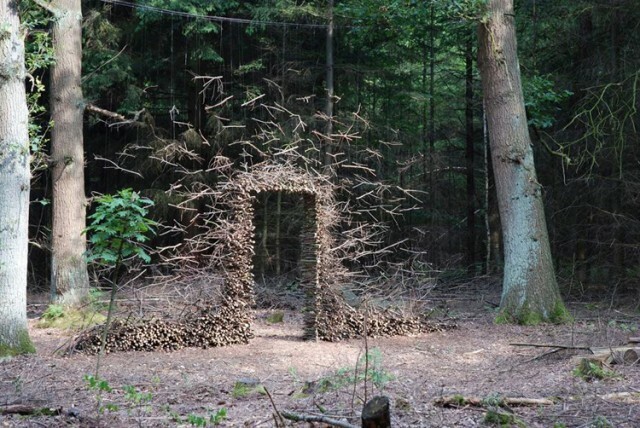 This artist based in Germany likes to work with natural materials like branches and rocks. She can simply create magic around her no matter where she is working. 3D illusion sculptures by Riusuke Fukahori: This Japanese artist has the skill to make his art look live. 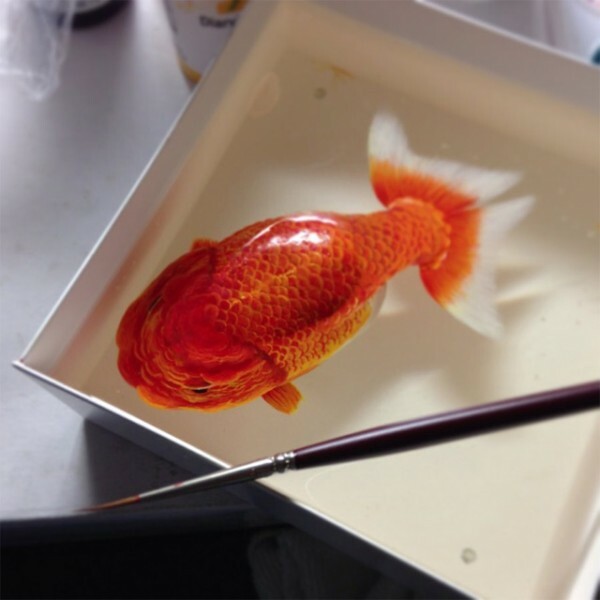 He came to notice with his creation using acrylic paints and resin that was put together layer after layer to resemble goldfish that are swimming within a bowl. 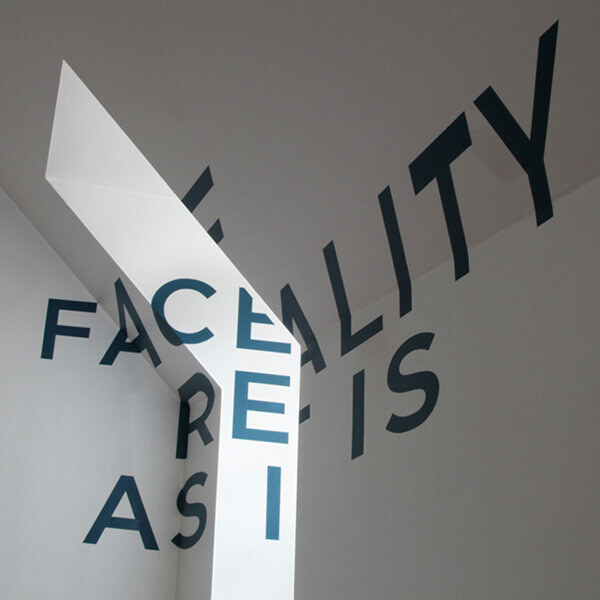 Anamorphic illusions by Felice Varini: This Swiss artist tends to disrupt environments with his art. His large paintings with geometric perspectives take up a large space making the onlooker to seek the right space to see the work properly. Architecture installations by Daniel Arsham: This artist who is Cleveland born tends to create art that will cross the lines between pure art, performance and architecture. 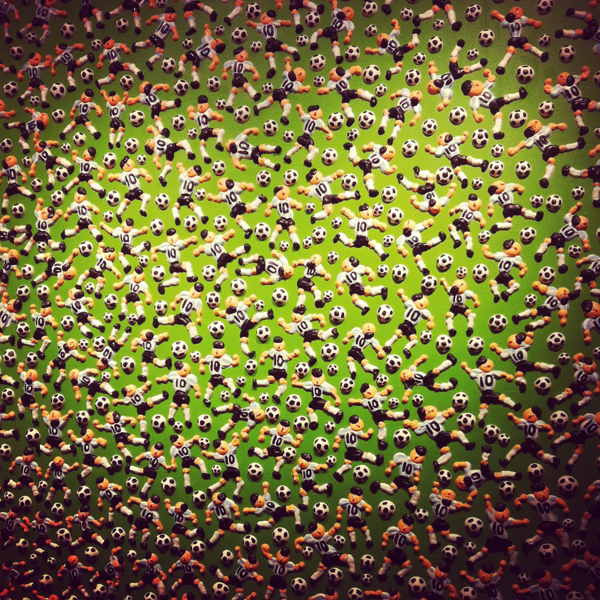 He is really renowned for 3D sculptures and Snarkitecture. He is known to use things like mysterious figures or shattered glass in his sculptures that make it look something mysterious lies behind the surface of a wall. 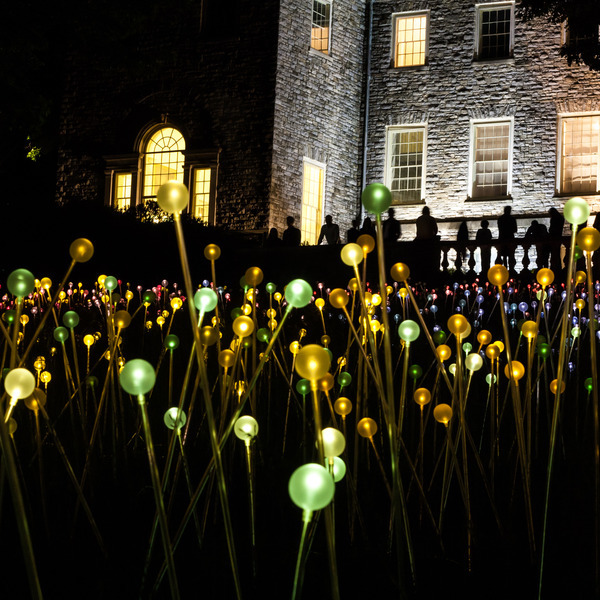 Light Art by Bruce Munro: Light Art: He loves working with light and is really good at making chandeliers that sparkle. He has created fields or gardens that light up at night and has had many exhibitions. 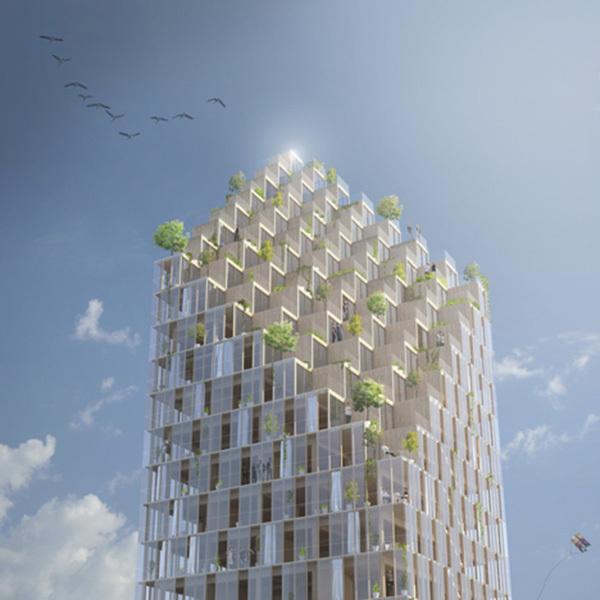 There were 40 towers put together with recycled bottles that would change hues to music. 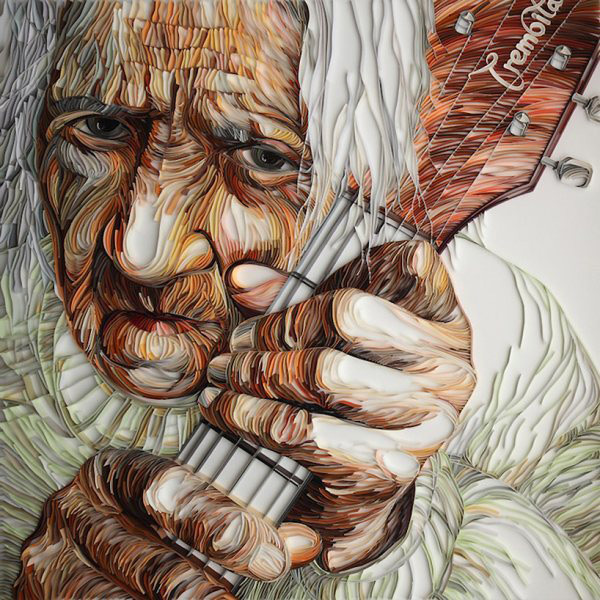 Paper illustrations by Yulia Brodskaya: She uses a old technique known as quilling and takes it to a new level. Making use of papers in strips she manages to detailed art by using many techniques. 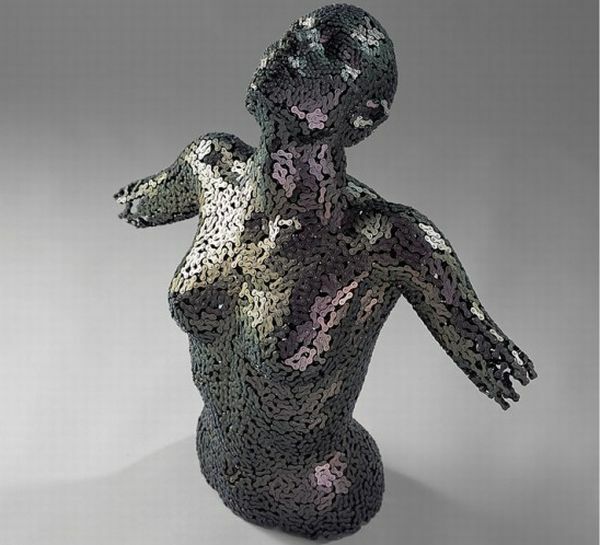 Bicycle Chain Sculptures by Young-Deok Seo: This young artist from Korea uses chains from bicycles to create the most amazing art. He weaves and works to make art that is really almost unreal. Polka Dot installations by Yayoi Kusama: This artist manages to use polka dots to make the most eccentric art.